What can we learn from Brittany Maynard's story? 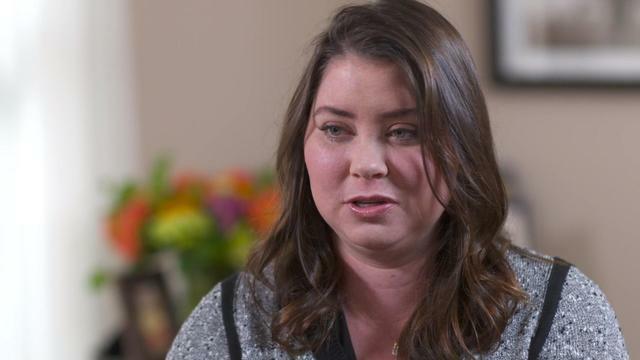 Brittany Maynard, the face of the controversial right-to-die movement, ended her battle with terminal brain cancer on Saturday. Surrounded by loved ones, the 29-year-old passed away quietly in her home. But the debate surrounding her decision -- the right to end her suffering on her own terms -- has been anything but quiet. Millions of people have watched Maynard's videos, which indicates just how far-reaching her story became. But her choice was still widely misunderstood -- with news headlines such as "Brittany Maynard Commits Suicide" and "Brittany Maynard: Terminally ill cancer patient and American euthanasia activist ends life by assisted suicide" portraying the decision in ways she took pains to avoid. As Maynard explained in an interview with CBS News' Jan Crawford in mid-October, her decision should not be considered suicide. "No. Cancer is ending my life," not suicide, she said. "I'm choosing to end it a little sooner and in a lot less pain and suffering." End-of-life advocates say the word suicide casts a negative light on the decision and insinuates that it was done impulsively and without considering all treatment options. Euthanasia is certainly not the right word to describe it either, since that suggests the fatal action was carried out by the patient's doctor or a loved one. Euthanasia is currently illegal in the U.S.
Vatican official calls assisted suicide of U.S. woman "reprehensible"
Maynard moved from her home state of California to Oregon, where state law allows terminally ill patients to obtain medication from a doctor to end their life. Oregon voters approved the Death with Dignity Act in 1994, then reaffirmed it -- 60 percent to 40 percent -- in 1997. The state is one of only three in the U.S. that allow mentally competent, terminally-ill adult residents to voluntarily obtain a prescription medication to expedite their death. (Two other sates do not explicitly forbid it.) More than 750 people in Oregon had used the law to die as of Dec. 31, 2013. The median age of the deceased is 71. Only six were younger than 35, like Maynard. Last spring, Maynard's doctors broke the news that her brain tumor was one of the most lethal types and that she had only about six months to live. She'd been experiencing "bone-splitting headaches" and seizures. Maynard decided to forgo the most aggressive treatments and die, as she put it, with dignity. But many people -- even some who are facing death themselves -- remain troubled by Maynard's decision. A 36-year-old mother of four with metastatic cancer, Kara Tippetts, tackled the issue in a blog post entitled "Dear Brittany: Why We Don't Have To Be So Afraid of Dying & Suffering That We Choose Suicide." Tippets invokes her belief in God and writes, "It was never intended for us to decide when that last breath is breathed." She also argues, "The doctor that prescribed you that pill you carry with you that will hasten your last breath has walked away from the hippocratic oath that says, 'first, do no harm.'" Dr. Tia Powell, director of the Montefiore Einstein Center for Bioethics in New York City says she believes Maynard's story is a reminder that the U.S. still has a long way to go when it comes to achieving equality in the health care system, especially as the aging Baby Boomer population increasingly faces terminal illnesses. "There are many, many people who don't access to appropriate medical care and treatment and are very concerned about bankrupting their family," said Powell. "You do have to have access to care before you can really start putting resources in aid in dying." MacIntyre believes that Maynard's story shows the health care system needs to change. "If aid in dying were an open, accessible, and legitimate option within in the health care system [in other states], everyone would have the same access as they would any other constitutionally protected options," he said, referring to federally protected patient rights to avoid unwanted treatments, sign "do not resuscitate" orders, or even refuse food and drink rather than automatically do everything possible to prolong life. Maynard, a newlywed not yet 30, brought a shockingly young face and articulate voice to the difficult subject of end of life choices. "Every movement has a turning point and powerful story that projects it forward," said MacIntyre.